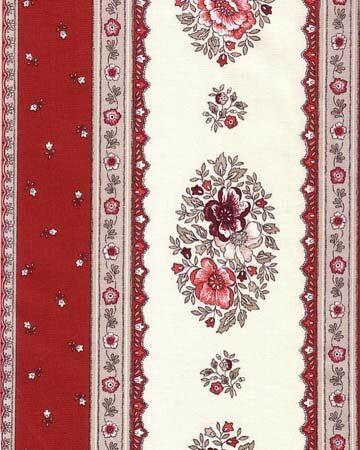 This red floral border cotton print has six 1.75" borders (seen at right) and five 6.25" borders that run lengthwise along the 61" wide fabric. The image shown is approximately 8 inches wide. This fabric coordinates with PR434.